This interview with Andy Morgan offers a detailed and fascinating look at the background to the Tuareg conflict in Mali. Tracing the unrest back over 50 years, he looks at the outside influences of Muammar Gaddafi, local Al Qaeda groups, Algeria and Mauritania. Could you give us the general picture of what is going on in Mali at the moment? The Tuaregs have been fighting an insurgency against the central power in Mali since the late 1950s but in terms of open fighting, since 1963. So this is a very old story. What we are seeing is the latest chapter, but a chapter with a great many differences. The Tuaregs this time are better equipped, better trained and better led than they ever have been before and as a result they have been able to clinch a series of military victories which have given them control of the northern half of Mali – bar the big cities, such as Timbuktu and Gao, which they haven’t attacked yet although I suspect now with all the confusion that is going on in Bamako they might take their chances in the next 48 hours and do just that. This time people are referring to a Libyan knock-on effect, with Tuaregs returning from Libya, having fought with Gaddafi, now heavily armed and with a lot of money to spend. Is this a true picture? The answer is both yes and no. The relationship between Gaddafi and the Tuaregs goes back to the 1970s, when Gaddafi had a romantic vision of the Tuaregs as superlative warriors. Gaddafi himself, as everyone knows, had a vision of himself as a liberator of oppressed peoples throughout the world. He took it upon himself to bring the Tuaregs into his fold and he trained them up to be soldiers. This happened particularly in the 1980s. The relationship between them at that time was always very ambiguous, as on the one hand he said that he wanted to help the Tuareg people to win back their homeland, but on the other hand he seemed to do precious little to help make that happen in concrete terms – apart from giving a bunch of young Tuareg men some military training in Libya, who he then sent to fight wars in Chad and Lebanon but not back home in Mali or Niger. They have always had a complex relationship, which I like to compare to the Irish Republican movement and the USA. Libya was a source for money and support but no actual encouragement to reach their goals. How did the Tuaregs end up working in Libya? The reason why a lot of Tuaregs ended up in Libya is that it is a very oil-rich nation which had a lack of manpower. Not only Tuaregs, but many sub-Saharan Africans ended up working in Libya. Some of those Tuaregs were actually a part of the Libyan army. The Malian press have accused the MNLA (National Movement for the Liberation of Azawad) of being Libyan mercenaries but in reality they weren’t mercenaries but actually regular members of the Libyan army and had been for 20 years. For example the leader of the MNLA, Mohamed Ag Najm, was a colonel in the Libyan army. The story goes, and I need to check some of this but, it appears that there was a very well known Tuareg rebel/freedom fighter/bandit depending on your point of view called Ibrahim Ag Bahanga who was a real thorn in the side of the Malian authorities from 2006 onwards until he was defeated militarily in 2008 and exiled to Libya. There, he started to make connections with all these Tuareg officers in the Libyan army, many of whom were in the same clan and the same tribal group as he was. When the Libyan uprising started in Benghazi and things started to go very wrong for Gaddafi, Ibrahim Ag Bahanga and others persuaded some Tuareg officers in the Libyan army to defect, raid the Libyan army arsenals and take the weaponry back to Mali. I have also heard a rumour, which I have not been able to confirm, that they actually had a meeting with the National Transitional Council, the anti-Gaddafi rebels, to get their blessing for this project. Yes, exactly, and weaken Gaddafi’s army. So this is what they did, and throughout the autumn and summer of 2011, they were ferrying arms back into Mali. During one of these trips, Ibrahim Ag Bahanga was killed, some people say in a car accident, although he had so many enemies that it seems incredible that he could have died in a mere car accident. So what you have is a group of very experienced Libyan Tuareg soldiers, who had been trained and employed in Libya, now in the north-east of Mali with a great deal of weaponry. From about October 2011 onwards, they basically started preparing the uprising, with long meetings out in the desert where they indulged in a great deal of soul searching about what had gone wrong in previous uprisings, so as to get it right this time. What happened is that they entered into an alliance with a much younger group of Tuaregs, you might say young intellectuals, very Internet savvy young Tuaregs, who set up the National Movement of Azawad, the MNA at the end of 2010. They eventually merged with the MNLA. This was an important move as one of the aspects that was deemed to be lacking in previous uprisings was good communications with the international media, and with the world at large. This alliance, this youth wing, if we can call it that, has been very active on the Internet since the uprising started, posting opinions, press releases and denunciations. This is a completely new development, which has led to there being a propaganda war between Mali and the MNLA, alongside the actual military operations. When we talk about Tuaregs we are talking about many different tribes, spread over different countries. Some say the MNLA is just a small group of a few thousand fighters. What sort of support does the MNLA have from Tuaregs as a whole? There are roughly 1.5 million Tuaregs, although an accurate census does not exist. They are spread out over 5 countries: Mali, Algeria, Libya, Niger and Burkina Faso. They have a very complex clan and tribal structure, at the top of which you have 5 large confederations which are then broken down into tribes, then clans and families etc. It’s very complex. They don’t all see eye-to-eye and historically they have fought against each other, sometimes very bitterly. 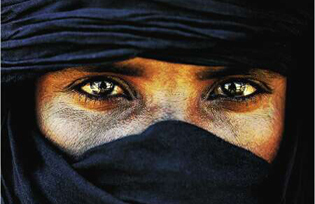 The idea of a Tuareg identity is a relatively recent phenomenon. Up till about 50 years ago, they did not see themselves as a unified people, they saw themselves as different families, tribes and clans – nomads from different parts of the desert who often fought against each other. So who are the MNLA? The MNLA are basically led by Tuaregs from the north-east of Mali, especially by two particular clans, called the Iforas and Idnan. The Iforas are the traditional rulers of north-eastern Mali. The Idnan are also a traditional warrior clan, bearing in mind that their society is very hierarchical and each clan had its different role. All of these old structures have been modified and deconstructed over the last one hundred years, but basically these two groups, the Iforas and the Idnan, are very much at the head of the MNLA. Support for the MNLA amongst Tuaregs is quite broad, partly as a result of the MNA’s propaganda and certainly before this latest conflict happened, I got the feeling from talking to various friends, that a lot of Tuaregs felt that at last they had a rebel organisation that was worthy of their cause. However they do not represent all Tuaregs by any means, and even less, all the people living in the north of Mali, where there are quite a number of different ethnicities apart from the Tuareg, including Arabs, Songhai and Peulh. All I can say is that it’s been along time since a rebel movement has enjoyed the level of support that the MNLA have, but this support is by no means universal. Is there any internal opposition? There is one group that is seemingly opposed to the MNLA and they are called the Inghad. They are the former subordinate or ‘vassal’ class in the old hierarchical structure, subordinate to the more noble Idnan and Iforas Tuaregs. Many of the Inghad were in favour of the Tuareg lands becoming part of the Republic of Mali, as the socialist principles upon which the Malian Republic was built meant that they were freed from their subservient status in Tuareg society. One of the most frequently touted names in this conflict is a Tuareg military commander called Colonel al-Hajj Gamou. He has been the Malian army’s champion in the north-east for quite a number of years and he is an Inghad, from one of these vassal tribes. Ag Gamou has been built up as the defender of the Malian cause in the north. Apart from the Libyan Tuareg presence in the MNLA, there have also been a lot of desertions to the MNLA from the Malian army since December, as the Malian army did comprise a large number of Tuaregs. The actual number of people in the MNLA is difficult to gauge but I am sure that the numbers are growing. What are the aims of the MNLA? They want a country of their own, a country called Azawad, which will comprise the three northernmost provinces or regions of present-day Mali – Timbuktu, Gao and Kidal. There has long been a debate within Tuareg society about what they want; autonomy within a federalist Malian structure or a completely independent state. After the last big rebellion in the early 1990s, when the suffering among the civilian population was quite extreme, many Tuaregs fell back to a more conciliatory position, saying that they did not want an independent country but wanted their rights; cultural rights and economic rights. This position has hardened in recent years to the point where the MNLA want absolute independence for Azawad, the long-dreamed-of Tuareg state. Is there a historical basis to the Azawad borders? The Malian border was invented by the French. It’s the border that was drawn up between French Algeria and French Sudan in 1904, so it really has no basis in tribal geography. There is some logic to it, as southern Algeria is deemed to be the zone of influence of a Tuareg confederation called the Kel Ahaggar and north-eastern Mali that of the Iforas, who I mentioned previously – the more dominant group. 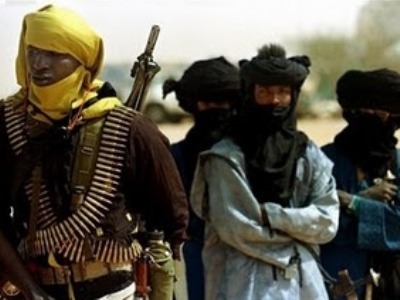 By saying that they are only interested in Mali, the MNLA are trying to limit the fear and concern of neighbouring states that a Tuareg uprising in Mali will lead to Tuareg uprisings elsewhere in all the 5 other countries where Tuareg are present. So the neighbouring countries are very nervous. Yes, they are terrified, especially the Algerians. This uprising could have a twofold effect on Algeria. Not only do the Algerians not want the Tuaregs in the south to get any strange ideas, although in the history of independent Algeria, the Tuaregs in southern Algeria have never shown any desire to stage a mass rebellion, so if one were to happen it would be completely unprecedented. But more important is the solidarity with the Malian Touareg uprising which is being felt in Algeria by the Berber peoples who have their own cause. The Tuaregs are a Berber people, Imazighen, which means they have linguistic and cultural ties with the Kabyle, the Chaoui, the Chleuch etc further north. There is a lot of noise about this rebellion coming out of the Algerian blogosphere from Algerian Berber groups, especially from Kabylia, but elsewhere as well. The Algerians are scared of a knock-on effect on the Berbers. What about the coup that happened recently? How do you read that? It is all very confusing, it has all just happened. It sounds like all this started last Wednesday when the Malian Defence Minister, Sadio Gassama and another desert fox officer, Major Colonel Abderrahmane ould Meydou – who along with Ag Gamou is Mali’s champion up in the desert – visited the barracks in Kati, a suburb of the capital Bamako and a military town of sorts. They received a very aggressive reaction from the soldiers and they were more or less chased off the premises. Remember this is a Minister of Defence sent running from the barracks by his own soldiers. 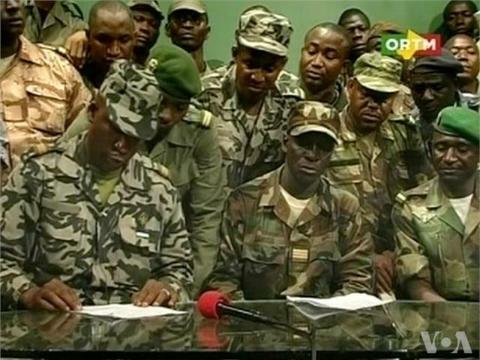 The soldiers then marched into Bamako, took over the Koulouba palace which is the presidential palace and the ORTM (TV station) and declared they were suspending the constitution, until further notice. The conduct of the war against the MNLA has in their eyes been a thing of shame. They feel the army is underfunded, undersupplied and there are stories of soldiers almost dying of hunger because of not getting enough food. There was also supposedly a massacre of Malian soldiers in a village north of Kidal called Aguel’hoc, which the Malians claim was perpetrated by AQIM (Al Qaeda in Islamic Maghreb) but the jury is out on what actually happened. But in Bamako, people certainly believe that the soldiers were badly treated and brutally murdered in Aguel’hoc. The Malian army also suffered some serious defeats a couple of weeks ago, in Tessalit, which is up near the Algerian border. The MNLA captured a lot of soldiers, and the head of the MNLA, Mohamed Ag Najm, in an interview with El Watan, the Algerian newspaper, said that the MNLA had tried to hand back the soldiers to the Malian authorities but that Mali did not seem to want them. So there is also the feeling that the soldiers are being abandoned. There is a lot of anger and this anger has clearly boiled over. The big question is “Who is behind this putsch?” The leader of this little junta, Captain Sanogo, is a complete unknown, although he has fought on the frontline and has experience of the north-east. Whenever he and his junta make declarations on the TV, it is clear that there are no senior officers involved in this coup at all – no-one above the rank of captain. I think it is generally accepted that when there is a military coup in an former French colony, the French army have got something to do with it, or at least some prior knowledge, as the links between the armies in Mali and Senegal for example and the French army are very close. Most senior Malian officers will have been trained in French military academies. It is possible that this coup may be the exception and that it is being led by a group of fairly young junior soldiers who are clearly very angry. It looks like they have taken over but it is not clear if the rest of the army has gone over with them. The jury is completely out on this, we will see how this situation develops. What about the AQIM (Al Qaeda in the Islamic Maghreb)? Does this group exist and are there any links with the MNLA as some have suggested? No Tuareg has ever killed or maimed another human being in the name of religion – certainly not in the last sixty years. I say that just to make clear that there is no cultural affinity between the Tuareg and AQIM. There is no question that AQIM does actually exist, this has been verified, but the more difficult question is who are its friends and enemies? They carry out kidnappings and have murdered people, including soldiers and policemen and have carried out suicide attacks. But there is a great deal of conjecture about this whole issue. What does certainly happen is that many western African and North African governments use Al Qaeda to discredit political or independence and autonomy movements. What are AQIM’s relations with the Tuaregs? 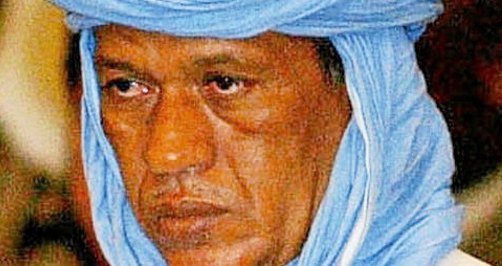 Before this rebellion, the supreme leader of the Tuareg rebel movement was Iyad Ag Ghali, who is an Iforas Tuareg. He led the rebellion in the early 1990s and was also involved in the 2006 rebellion. But he got religion in the late 1990s, thanks to Pakistani preachers who started visiting northern Mali with the aim of converting the Tuareg to the Salafist fundamentalist view of Islam. In most cases they were unsuccessful, but they did manage to convert Ag Ghali who has, apparently, over the last 10 years, become increasingly extremist. In the run up to this uprising, he went to see the MNLA and offered to be their leader, as he had been in the past, but this time his candidature was rejected. The MNLA have made it absolutely clear on many occasions that they are a secular and democratic revolutionary movement, with the emphasis on secular. Iyad was also apparently rejected as leader of the Iforas clan too. The Iforas are still being led by a very ancient man called Intala Ag Attaher, so despite an imminent succession crisis in the clan, he was turned down as the amenokal, as they call a leader in the Tuareg language. He declared that he wanted to bring shariah law to the Tuareg homelands and most Tuaregs do not want shariah. The role of women is relatively prominent, free and strong in Tuareg society. Tuareg society is not profligate or hedonistic, but it is religiously tolerant and people are free to express their own minds. It is a matriarchal society and very different from Saudi Arabian society, for example. Was that the end of Iyad Ag Ghali? No, he went on to form a movement called Ansar Al Din, which means the “followers of the faithful”. There are reports that he got together a group of like-minded Tuaregs with similar tribal allegiances and they, it is said, are fighting alongside the MNLA as a semi-autonomous wing of the rebel movement. They were apparently very present in the Aguel’hoc and Tessalit battles. 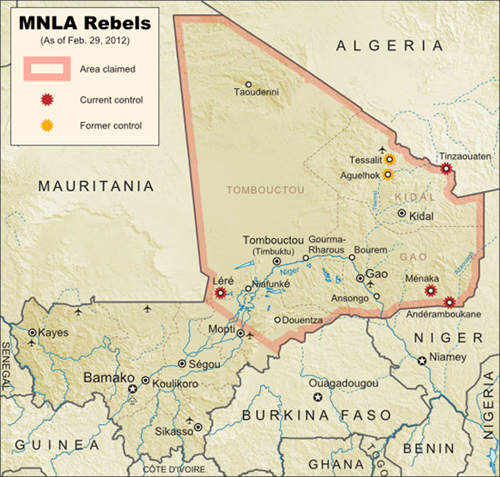 The problem is that their presence has allowed Mali to construct the theory that the MNLA are in cahoots with Al Qaeda. There is also the fact that the Tuareg, probably for monetary reasons, have done odd jobs, a bit of kidnapping, a bit of supplying, guiding and driving for Al Qaeda. It is important to understand that when Al Qaeda arrived in the area in 2007/2008, they destroyed the tourist industry, destroyed the NGO industry and destroyed any kind of outside involvement in the area, which catapulted it into a state of economic crisis. So if someone comes along and says: “I’ll give you $500 to drive this van” or whatever, you can imagine that the temptation is extraordinary. Is unemployment a big issue in this conflict? What is the social background? The social context is that the north-east of Mali has been more or less forgotten in terms of the general development of the country. The first uprising was in 1963 and for the next 20 years, right up until the next uprising in the 1990s, the area was completely marginalized – it was a no-go area, you couldn’t even visit it. It was basically a military occupied zone. Then in 1991 there was a revolution of sorts in Mali and the dictator Moussa Traoré was thrown out. What is ironic is that the current President Touré came to power in that military coup in 1991 which came off the back of a Tuareg uprising. Since then there have been attempts to develop the north. Rather large sums of money have been thrown at the north, some of which, it has to be said, have been embezzled by unscrupulous Tuareg leaders. However what really angered many of the Tuaregs was that a large chunk of the fund called the PSPDN was being used to build military barracks, and to remilitarize the north. That is one of the reasons why the fighting broke out on 17 January this year. This made them feel it was either now or never, otherwise the military presence was going to become too well-established. On a normal day when the conflict is in abeyance, how are relations between Malians and Tuaregs? They normally get on pretty well. Until recently, there were a lot of Tuaregs living in Bamako, the capital. They worked in the Malian administration in various jobs, working for NGOs, government bodies, teaching in the universities. That kind of social mixing was happening in other cities like Segou, Mopti, Timbuktu and Gao as well. But there is a historic enmity as well. Malians sometimes think that the Tuareg are fundamentally racist and possess this ‘slave owner’ mentality. Tuaregs often think that black southerners are racist towards them, calling them the ‘Red Skins’ and other pejorative names. So there is some social tension between them. Having said that, I think that many Tuaregs had made their peace with the idea that they were a part of Mali and that they were just going to have to get on with living in Mali. And what about the neighbours, like Mauritania? 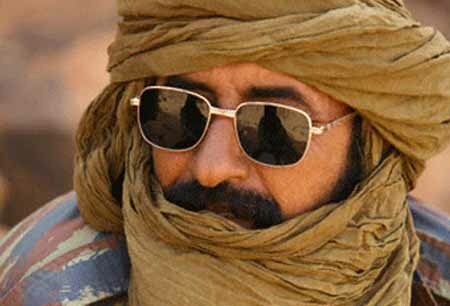 Mali has accused Mauritania of actually interfering in Malian affairs by supporting the Tuareg. Is there any truth in these accusations? If you read the Malian press there are constant accusations against various outside entities and countries, such as Mauritania. That particular accusation is based on the fact that the MNLA’s political wing has basically set up shop in Nouakchott, the capital of Mauritania. So the political leaders are based there and there is a suspicion in Mali that there have been high level governmental links between Mauritania and the MNLA. The official statements from the Mauritanian President all say that Mauritania respects Malian territorial integrity and that conflicts must be resolved by peaceful means. Behind the scenes, who knows? That said, I don’t think any country wants to see an independent Azawad. It is too dangerous. They are also suspicious in Mali regarding Algeria, as Algeria considers north-eastern Mali to be its backyard, its own zone of influence. The Algerians have always manipulated Tuareg politics in that area. They did so especially to counteract the influence of Gaddafi when he was in power. So there was something of a fight between the Algerians and Gaddafi as to who was the real friend of the Tuaregs. What about oil and gas? Is the area strategic in terms of its mineral resources? Yes, one thing that has been happening in the last 5 years is that northern Mali has been explored, and parcelled off as lots for oil drilling. Those lots have already been sold off – and I should say this is where things get very murky and where some serious investigative journalism needs to be done. Total, the French oil company, were involved in the exploration, as were the Qatar Petroleum Company. As we know, both Qatar and France were heavily involved in the overthrow of Gaddafi and many Malian commentators see a conspiracy theory in which France (remembering that France and the Tuaregs did try and set up a Tuareg state back in the ’50s prior to Malian independence which was quashed by the FLN in Algeria and the leaders of independent Mali) have always rued the fact that they lost all their colonies and access to the rich minerals in northern Mali. So many Malians see the Tuareg rebellion as being engineered by the French. In general, the Sahara is very fertile ground for conspiracy theories as it’s so hard to verify anything that goes on there. Even people who know a lot about Al Qaeda are convinced that Al Qaeda in Islamic Maghreb is a creation of the Algerian secret services. Others are convinced they were invited into northern Mali by the Malian government itself in order to be able to delegitimize any Tuareg insurgency. The Sahara plays on the mind. There are also rumours about drug trafficking and that the Malian government and army have had a role in that. Tuaregs too. The whole area is a dream for authors of crime and conspiracy novels. If the situation deteriorates in Mali surely the French will not sit back and watch it happen? It is difficult to say, it depends what links they have with these young soldiers involved in the coup. It is not clear if the French have any control over them. I am inclined to think the French will try and re-install President Touré – presenting themselves as the defenders of democracy – and bring things back to the way they were. The French are also terrified of the Islamic threat. They have already lived through their Algerian experience so this is nothing new to them, but they will not want Mali to become an Islamic state. One thing that is not talked about very much is the creeping influence of Salafist fundamentalist ideology in southern Mali. This has been happening over the last three years. But as for the big picture, we will have to wait and see how this coup plays out. 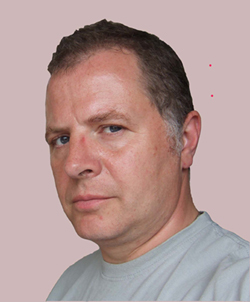 Many thanks to Richard Trillo for his kind assistance.